We have several different types of hand washing sinks. Our sinks are always very popular especially with special events. The quad sinks are perfect For work sites and special events Where frequent hand washing is required. They feature hands-free operation (using foot pumps). They are made of durable polyethylene (fresh water and gray water tanks.). They come with Paper towel holders and a convenient soap dispenser. They are an excellent addition to any event – especially those serving food. Clean hand washing facilities encourage people to stay longer and spend more. Disclaimer: Water provided is non-potable and not for drinking purposes. 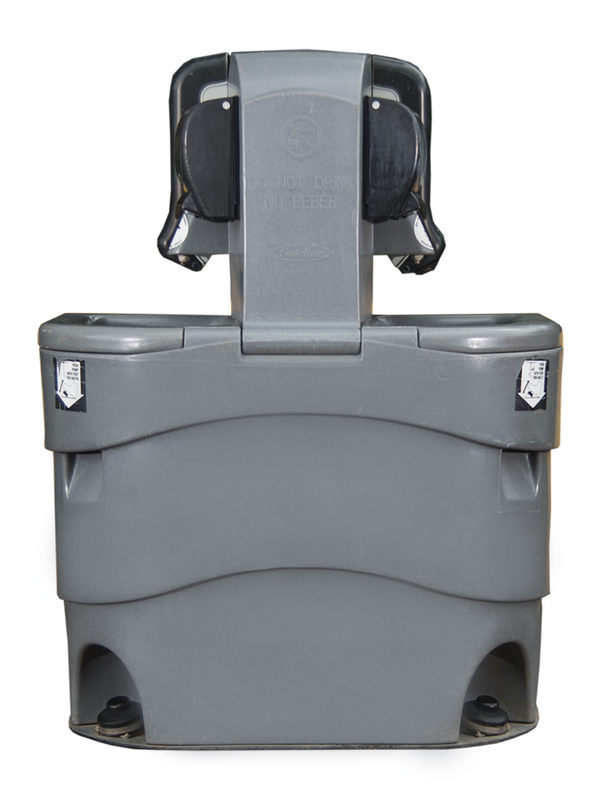 Features a hands-free foot pump operation. A large 60 gal. capacity which Includes soap and paper towel dispensers at the user’s fingertips. Great for Special Events. Its handles are molded in for easy movement making it easier for a large crowd capacity.